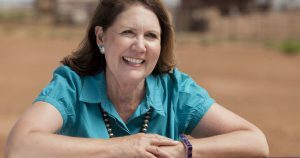 Rep. Ann Kirkpatrick has spent her entire life fighting for a stronger and more equal America. Born and raised in rural Arizona, Ann spent her childhood in the White Mountain Apache Nation, and her first words were in the Apache language. Her experience as a prosecutor and elected leader makes her uniquely qualified to fight for families in Arizona’s 2nd district. Her prior service in Congress and her strong fundraising made her a particularly strong candidate. She serves on the House Appropriations and Agriculture Committees.